I am not a fan of spiders. I have too many memories of big wolf spiders dropping from the ceiling of my childhood home or crawling out of the stack of wood I was carrying for the fire to allow that. I don’t mind them as long as they are outside and don’t build their webs across the paths around the house. 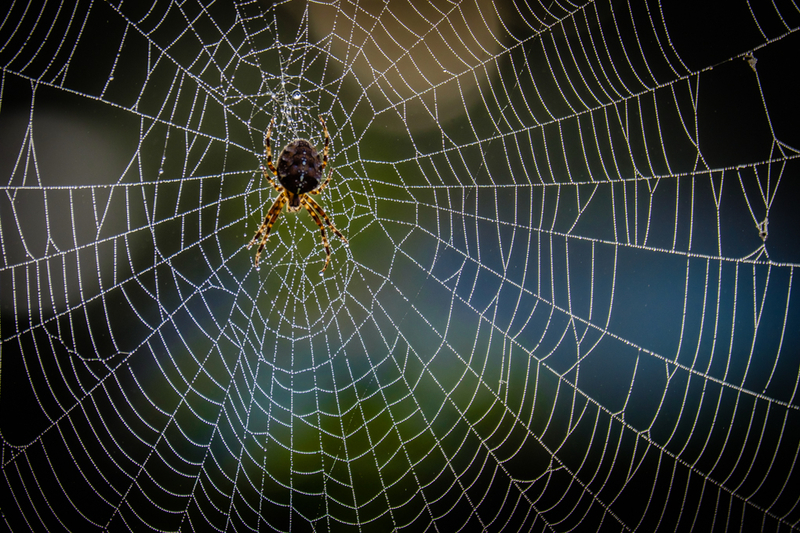 Well it’s that time of year again when the nights are getting cooler, the morning dew is heavy, and spiders begin to prepare themselves for laying their eggs. It seems this year our house has been surrounded by hundreds of our 8-legged friends. 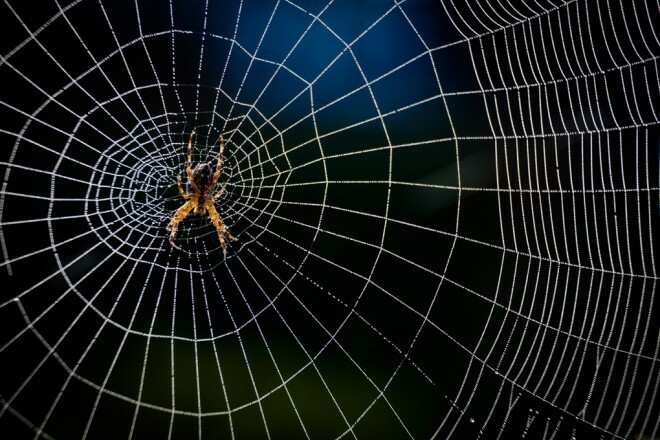 Yesterday as I got into the car to run Luca to school I noticed that about 8 to 10 spiders had built webs amongst the trees and shrubbery bordering the driveway. It was a foggy morning and the sun was starting to break through. When I returned home I had a few minutes to grab my camera, tripod, 55-200mm lens and an 11mm extension tube. Getting into position to get shots of the dew on the webs was very difficult as I had to place the tripod and myself into the middle of a rose bush/rhododendron amalgamation. I would pop off a few shots, run the memory card to the computer to download the shots and check my depth of field. My aim was to get most of the dew in focus but have a nicely blurred background. I wasn’t very successful. 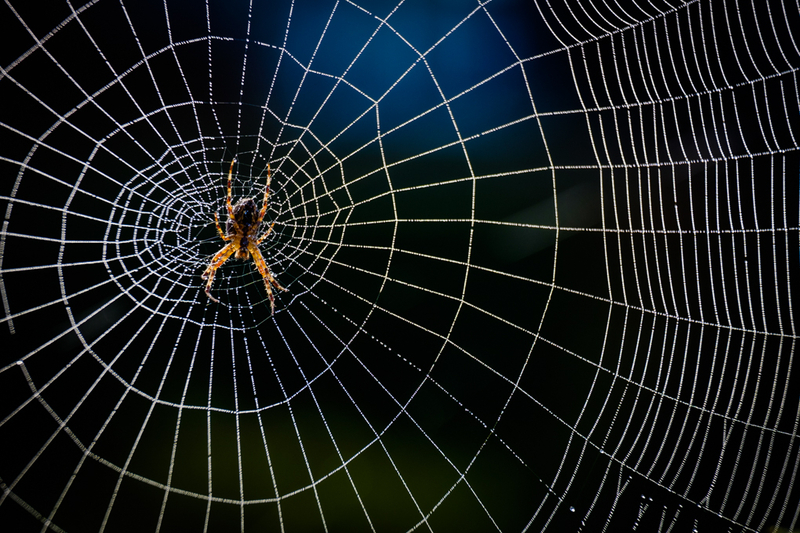 The tricky part was trying to get the camera parallel to the web. As you can see from these shots that never really happened. I increased my aperture to increase my depth of field, but by the third trip the sun started to come out. 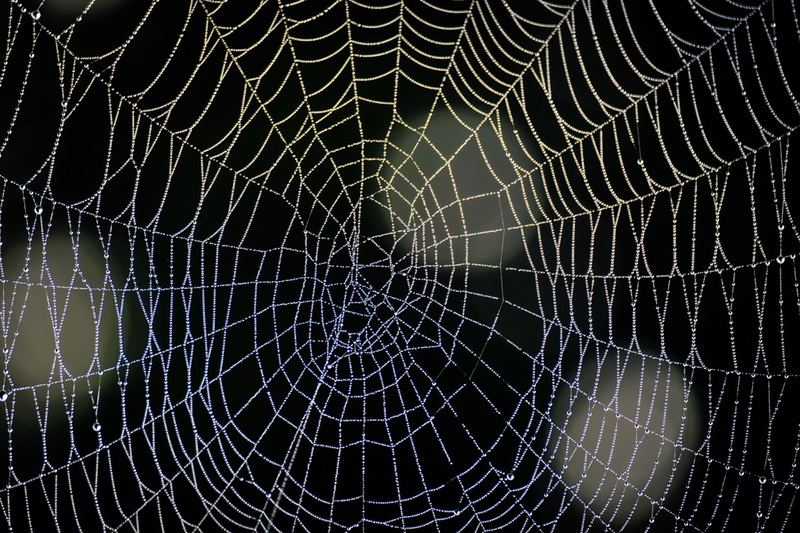 Within a few minutes of the sun breaking through the fog the dew had dried from the spider silk. By the afternoon each web was full of tiny flies. I am hoping for the spiders to build new ones and for more fog so I can get more chances to capture the pearly dew with my macro lens. Fingers crossed.